This is our newest lighting design! 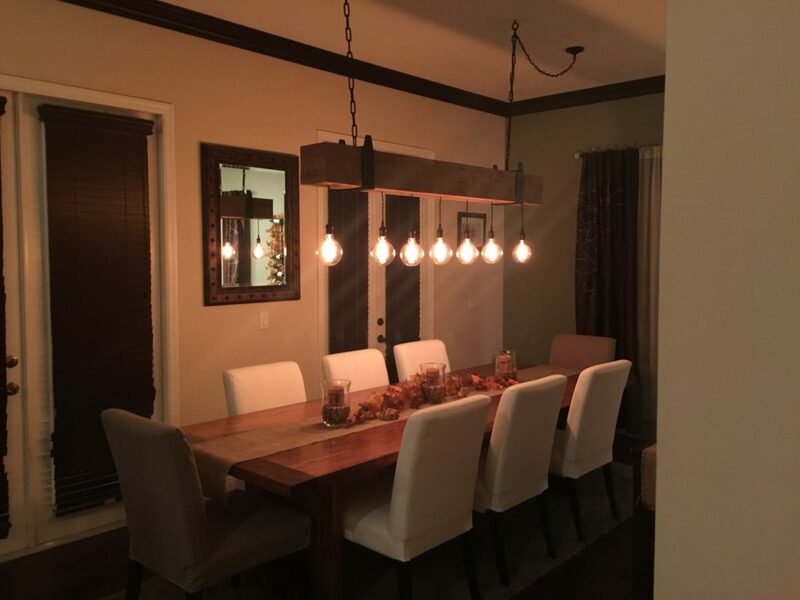 This Reclaimed Wood Beam Chandelier with Edison Globe Bulbs is one of a kind. 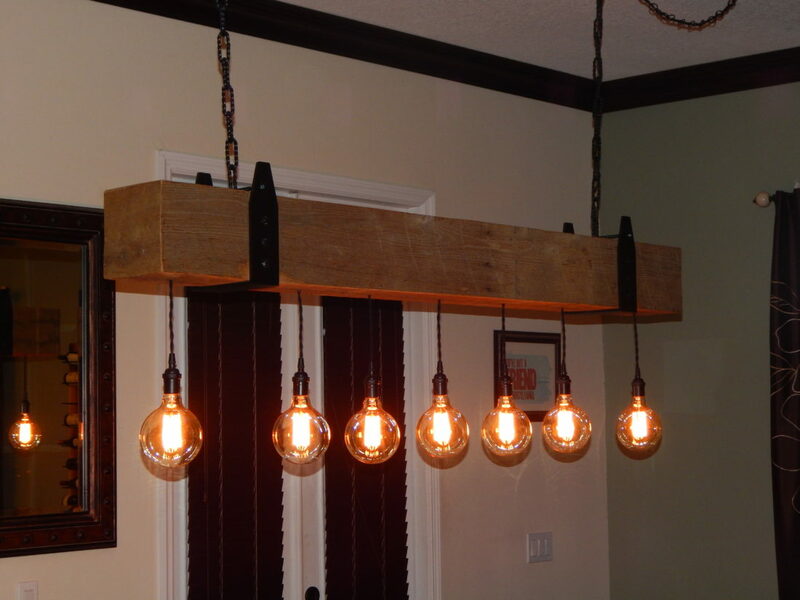 It is made out of four reclaimed barn wood boards to create a faux beam that is hollow in the middle. 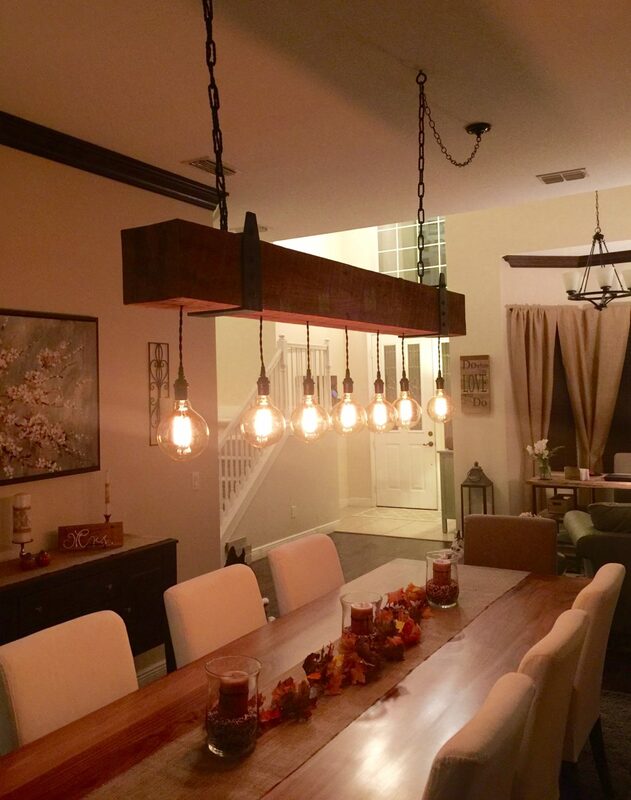 The globe edison bulb lights hang from the bottom of the beam using twisted wire and vintage sockets. We then add the metal brackets and chains to give it a vintage yet industrial look. 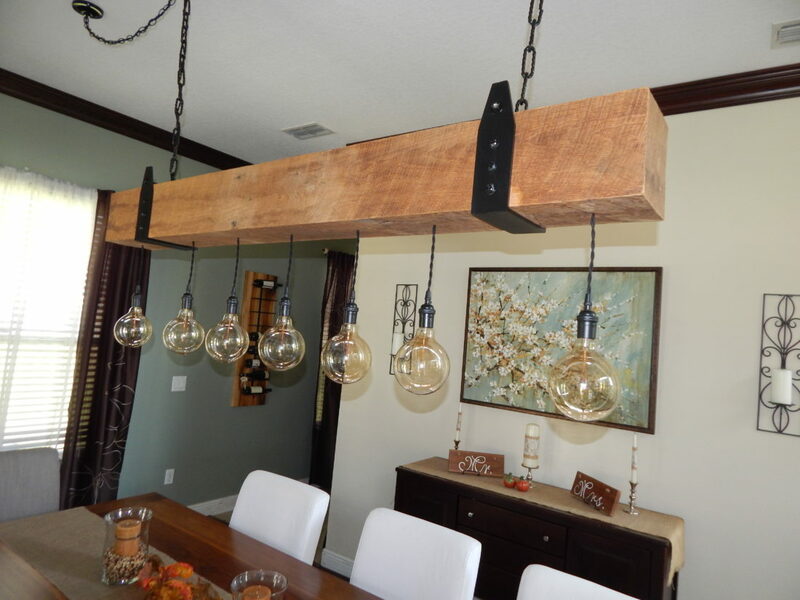 This beam can be made to any length to fit your needs. It goes great over a dining table, bar, kitchen island and even pool tables!